Providing the science for sound stewardship of the islands' ecosystems is Kwiáht's main mission. This includes mining existing data such as historical maps, archaeological site reports, the C.B.R. Kennerly notebooks and collections from the 1850s, and more recent university collections made in the islands; as well as original research such as surveys to locate species and the habitats they use today, food web analyses, and measuring human impacts such as contaminated road runoff. Understanding how and why things are changing is necessary for knowing when and how to intervene – or whether to intervene at all. Our research is grounded in an appreciation of the distinctive character of island ecosystems (how they have assembled since the last glacial epoch); and the reality that the human presence and aggressive non-native species such as Eurasian grasses have irreversible consequences. Our priority has been establishing long-term study sites and collecting baseline data that we can use to distinguish the impacts of increasing human activity from climate change. This would be impossible without community support, in particular dedicated teams of non-professional volunteers that we call "community scientists" that collect and process data weekly or monthly at different study sites. Each team is largely self-governing, with Kwiáht scientists serving chiefly to provide training and quality assurance. Above all, we value and insist on scientific integrity. 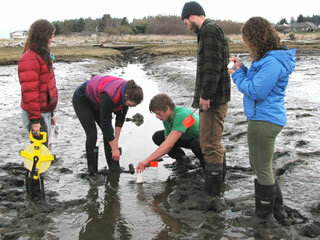 Zooplankton monitoring in collaboration with WDFW and UW Oceanography. Sandlance distribution, ecology, and population genetics. Ecology & diet of Blackmouth salmon in collaboration with local anglers, Long Live the Kings, NOAA, WDFW. Bat Grid: acoustic monitoring of local bats and outreach to reduce bat-human conflicts Using DNA to identify bat diet from guano. Historical pond turtle distrubution using eDNA. Mapping and identifying heritage orchard varieties and building carbon storage capacity of food forests. 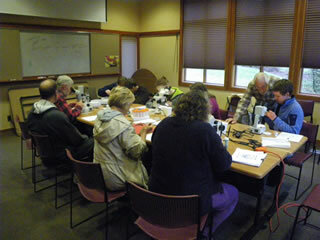 Genotyping island deer from pellet samples in collaboration with local schools and community volunteers. Island fire ecology and living fire breaks. Living Shoreline and coastal wetland enhancements around Fisherman Bay. Grow Wide and Wild: research garden for edible native plants and traditional Coast Salish crop plants.